My first ever Butter London and it was found in the most unexpected place, Winners! I spotted a few different polishes but ultimately I chose Jack the Lad. 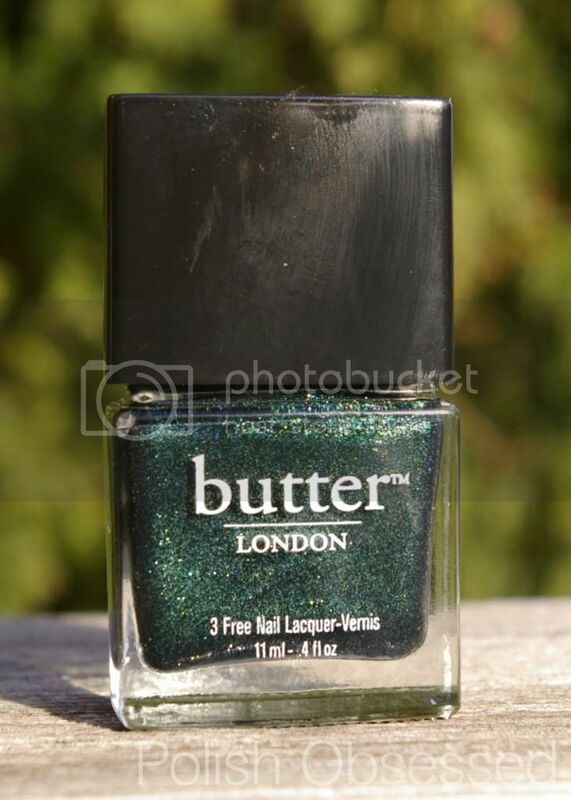 First of all, lets talk about the bottle for those of you who have never tried a Butter London before. I love this shape, a square, bold bottle with a batching handle topper. What I love about this bottle is you get design and functionality, as the top topper pops off the top of the brush to reveal a more ergonomic handle. I do wish the handle was a tiny bit longer and the brush was a bit wider. 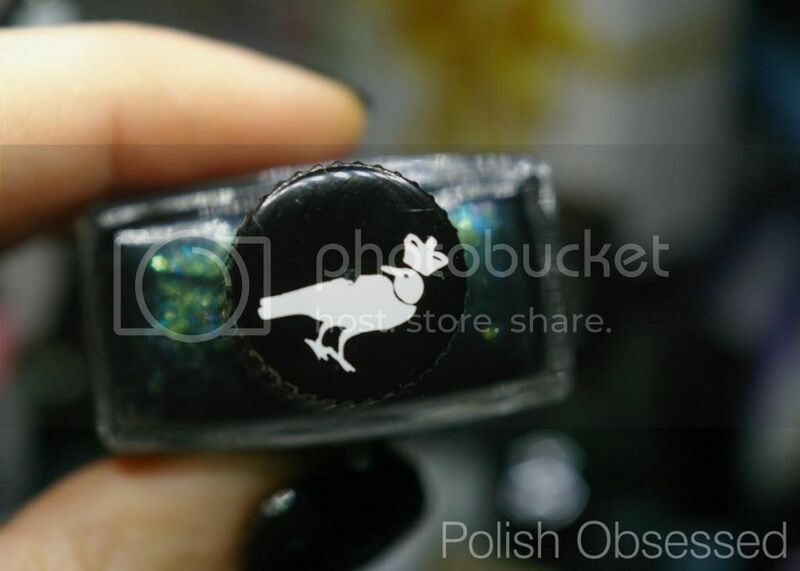 But there is a cute little birdy on the top, so that makes up for it right?! I love little accents like this that really make the bottle special. Then again you are probably paying double the price of another brand.... so what about the actual polish?! 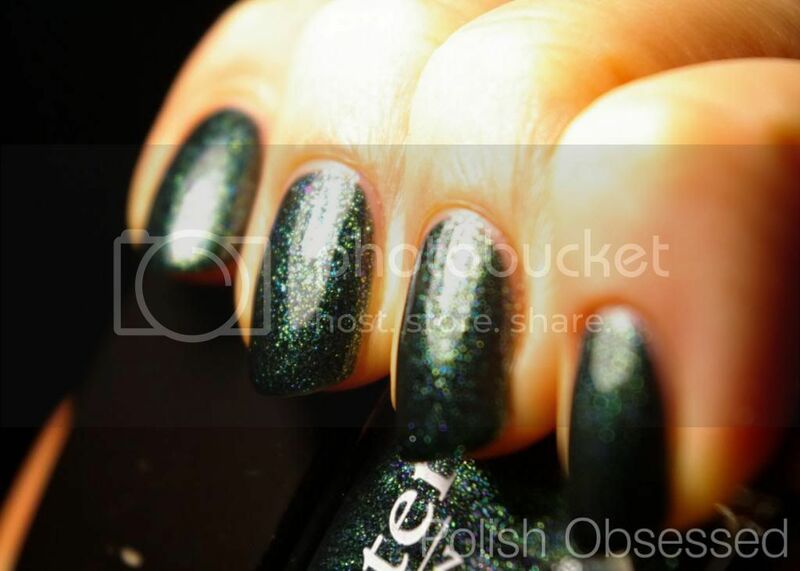 Jack the Lad is a forest green shade with a foily shimmer made up of green, gold and blue. Such a pretty combination. It applies thin and evenly in the first coat and builds up quickly to full opacity on just two coats. The formula was a dream to work with and wore very well. 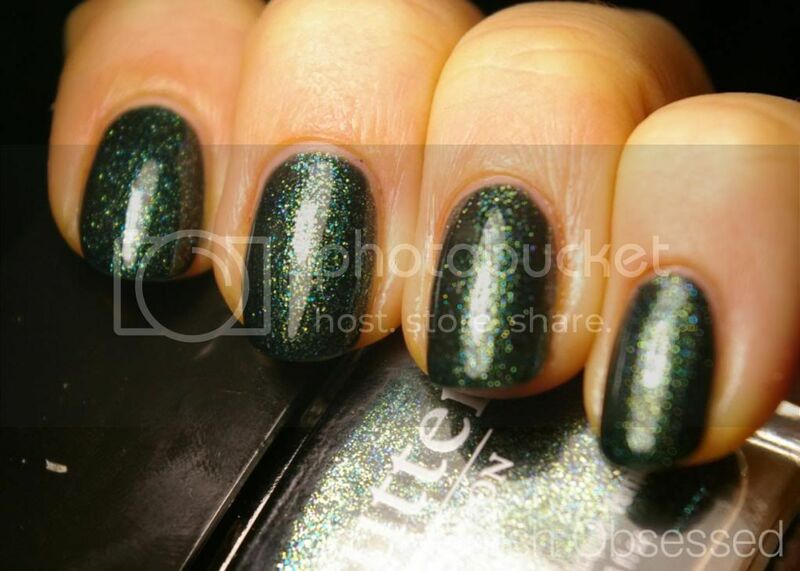 I experienced no chips for a good duration of wearing this polish, but I did get tip wear fairly easily. This was due to the fact that I was up to a lot of cleaning and cooking for the first few days of wear. Since the formula is thin and jelly like in constancy, I'm sure this added to the overall wear. All in all I am impressed with Butter London, I know they have a bunch of unique shades available and have now tested their amazing formula and I hope that my Winners starts to carry more!